First, I love bacon. I love donuts. 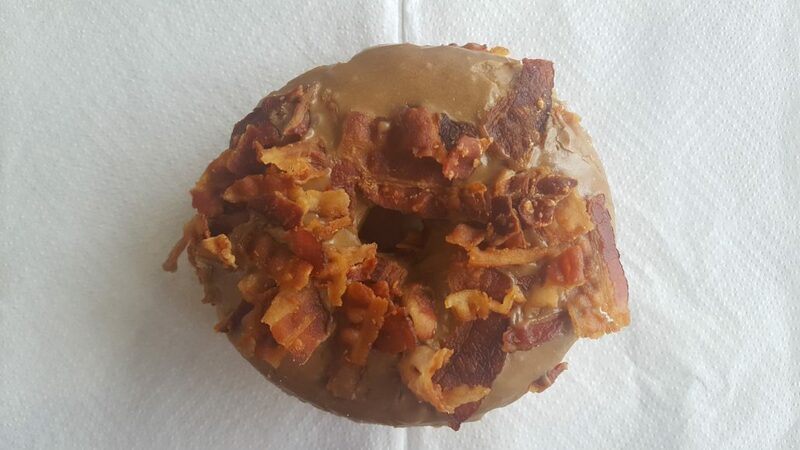 However, I have never gotten bacon on a donut. I’ve had bacon in ice cream — that was fantastic. 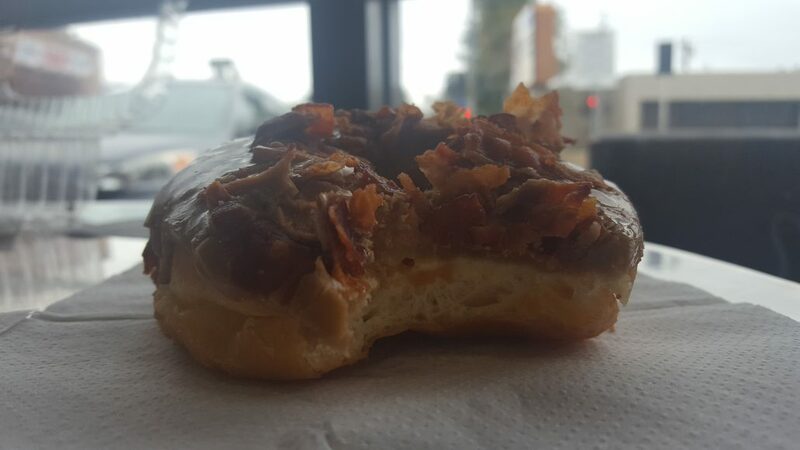 So while I was on vacation in LA, #YOLO — maple bacon donut, it is! And boy did I enjoy each sweet and savory bite. Seriously. The dough, as I mention in the SK Strawberry Nutella Donut post, is perfect. This donut was more conventional in shape than the Strawberry Nutella, however, the dough was still perfection. As the other donut stretched out jaws, this one was of “normal” height. Each bite was light. The bacon added a chewy-ness to each chew while adding a slight salty undertone. 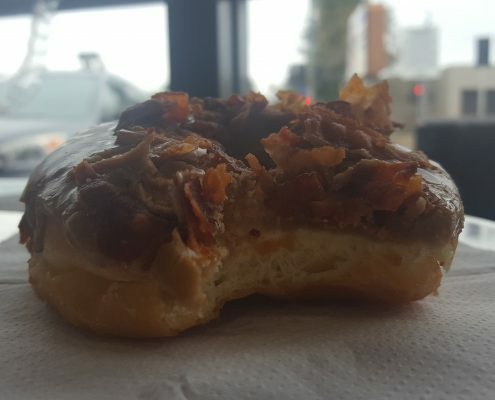 Then, as my mouth enjoyed each bite and squeeze of the donut, the maple syrup frosting kicks in to usher in a sweet wave that made my mouth smile. 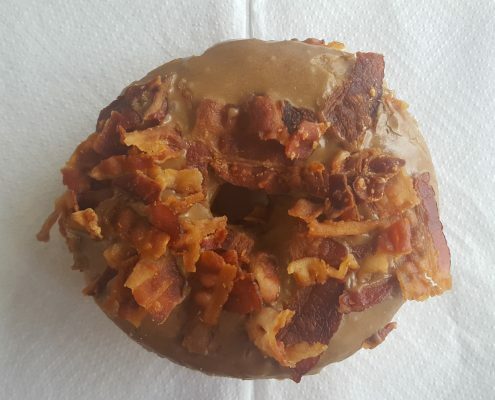 I may have to get more donuts with bacon while adding bacon to more unconventional dishes. Where Is SK Donuts & Croissant?